With Daddy Monster, Berg has taken a massive step forward in his development. With debut, Indifference under his belt (and displaying an impressive array of skills for a first time writer) Berg has clearly tackled his follow up novel with an increased vigour. Technically more skilled than Indifference, berg’s second offering has lost none of the dark humour and often vicious plotting of indifference but contains much more heart and is infinitely better paced and plotted than his debut managed. 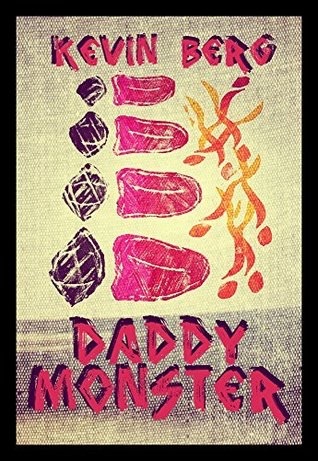 Inventive, filthy, dangerous and properly black-humoured, Daddy Monster finds a confident Berg utilising all of his impressive skills, manky imagination and cracking dialogue, but also employing a more considered approach than Indifference which at times felt like a series of set pieces written to elicit a response or perhaps purge the writer. Not so in Daddy Monster. Berg has written a properly funny, often dark and incredibly impressive work that screams originality and vitality in a genre that badly needs both. Berg is simply the best kept secret in US indie-publishing.